EDM, continuing to break down the walls. Port Chester, NY&apos;s Capitol Theatre has spent almost 100 years catering to some of the best artists in the world of rock; everyone from Janis Joplin and Pink Floyd to BB King and Morrissey have performed there, but never once has there been an EDM show at the Capitol... until now. 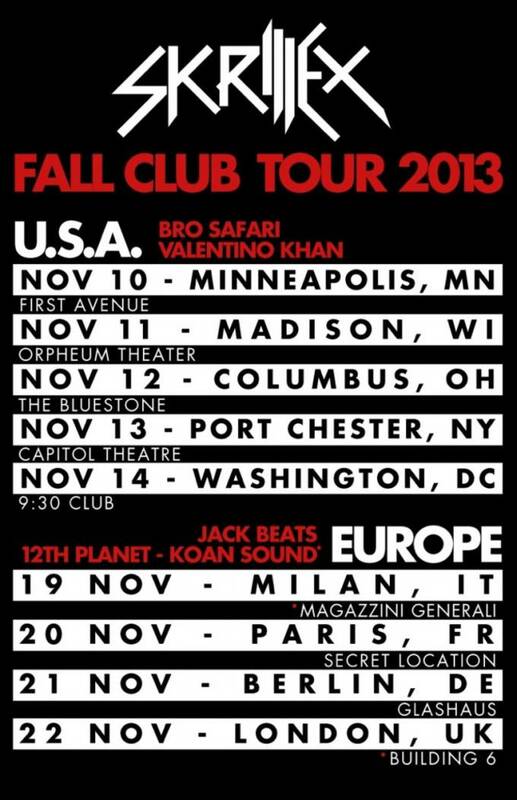 On November 13, Skrillex has been booked as headliner for the Capitol Theatre&apos;s first EDM show (which includes Bro Safari and Valentino Khan), which owner Peter Shapiro says that they are expecting to fully utilize their planetarium projection system for. Tickets are available for this show right now via thecapitoltheatre.com. EDIT Skrillex has announced a Fall 2013 club tour this November, which will hit the Capitol Theatre, among other spots in America and in Europe.